Each item I create for Jennie Jane is unique and hand-crafted, not mass produced! Every bag starts with a custom pattern like the one shown here. Sometimes I draw these patterns are drawn by hand and other times I create them on the computer using Adobe Illustrator. 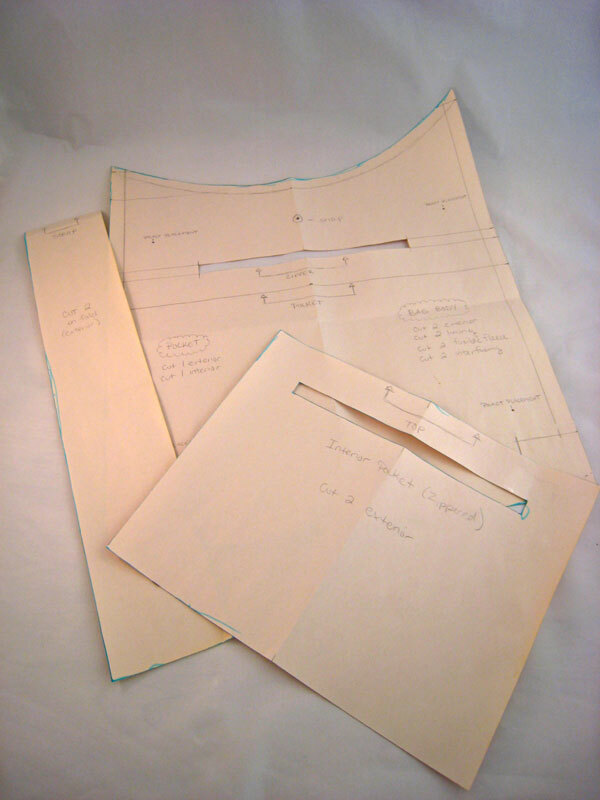 The pattern is transferred to coordinating fabrics that I personally choose for each project. Much care goes into the crafting of these purses and I love each of them as individual pieces of artwork! Your purchase supports a small business, and in turn you receive a handmade item that’s one-of-a-kind. Art and crafts have always been a big influence in my life. As long as I can remember, I’ve always had a desire to create. What started as a passion for drawing became a career in graphic design. Now I’m a full-time graphic designer by day, part-time seamstress by night! Click here to view my graphic design site. My love for sewing stemmed from an interest in cosplay (as illustrated by this photo of me in the wacky pirate outfit). I’ve attended several conventions and Ren Faires dressed in my own creations. I quickly became addicted to the sense of accomplishment that comes with completing a sewing project. I’ve been actively sewing for several years now, and am constantly on the lookout for new inspiration! Thanks for taking the time to read a little about me and what I do!